Perfect neighbours…. they bring inspiration for cooking ánd for writing with one gift. You must feel very lucky with such friends. We don’t grow garlic here in Holland, but my neighbours across the street do bring me flowers from the garden sometimes, for which I’m gratefull too. And I have a neighbour who is 92 (!) years old, who loves to cook for me sometimes. Imagine that…. And with the food came many stories about her younger years. Wonderful stories, wonderful lady. 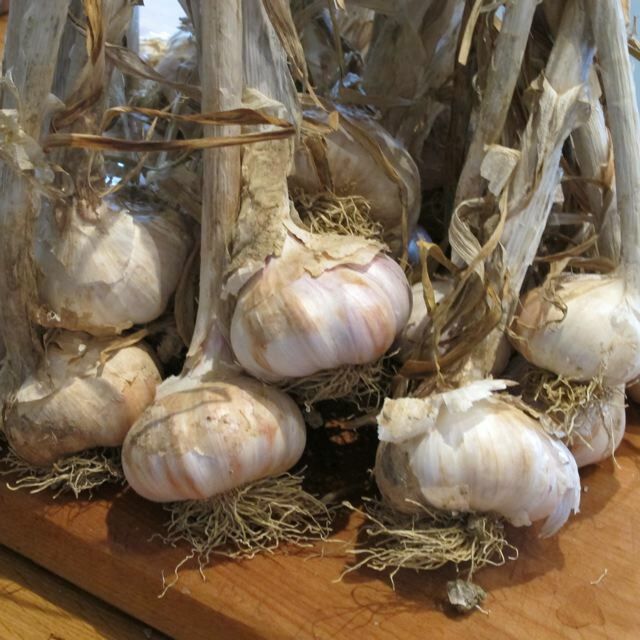 Have fun cooking up a storm with the garlic! Alice–Meredith says–is making garlic soup tonight. Does her soup come with stories too? 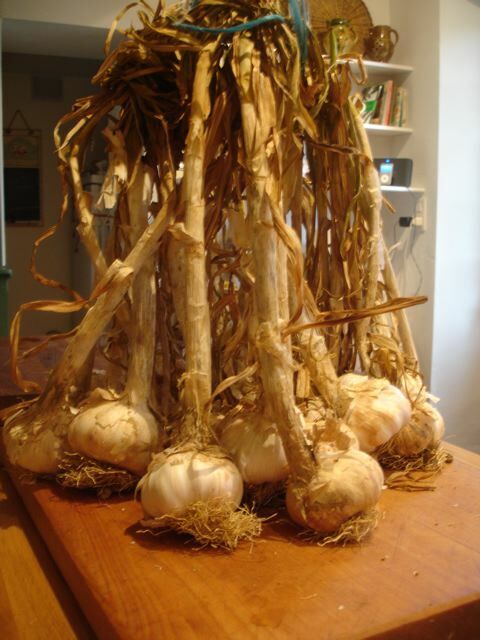 For us Italians have garlic as gift means “good luck” and we use done a plait and put behind the kitchen’s door. Enjoy!!! 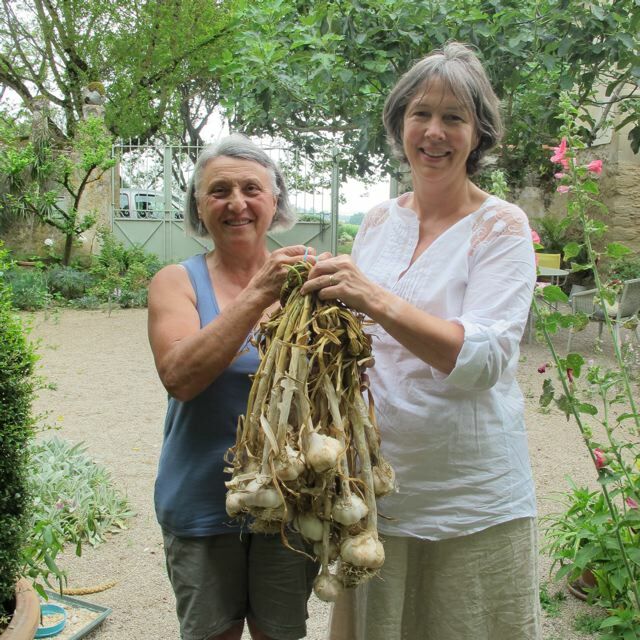 Thanks for telling me that, Beatrice–garlic given as a gift brings good luck–lovely!